Rhode Island public secondary schools have the opportunity to expand coursework available to their high school and middle school students through the Advanced Coursework Network. Enriching experiences with advanced coursework help students get a head start on post-secondary success, master the skills required of a lifelong learner, and be prepared for jobs in sectors critical to Rhode Island’s future prosperity. The Advanced Coursework Network is designed to help districts and schools meet this need by creating opportunities for Rhode Island students to envision, pursue and realize their individualized graduation pathway. Districts and schools have the option of joining the Network as Network Members, in which they allow their students to enroll in coursework offered by the Network. Coursework are offered by Rhode Island LEAs, Community-Based Organizations, Institutions of Higher Education and approved Department of Labor and Training course providers. Questions regarding the Advanced Coursework Network can be emailed to AdvancedCoursework@ride.ri.gov. If your school or district is interested in being a Network Member of the Advanced Coursework Network, please email advancedcoursework@ride.ri.gov. The new Rhode Island Advanced Coursework Network provides qualified high school and middle school students (in participating school districts) the chance to take an exciting catalog of college and career preparatory courses at no cost to participating students. Advanced Coursework Network courses are offered by Rhode Island colleges and universities, community based organizations and other school districts at no cost to you and your family. Governor Raimondo, the Rhode Island Department of Education (RIDE) and stakeholders across our state created this innovative new program which began in the 2016-2017 school year. Taking advantage of advanced coursework of all kinds can better prepare students for success in college or future careers. Taking advantage of dual enrollment or advanced placement courses can reduce the time it takes your student to earn a college degree while significantly reducing the college costs your family will have to pay. Contact your student’s high school or middle school to ask if they are part of the Advanced Coursework Network. Your student’s school counselor will help you and your student understand the opportunities for taking advanced coursework and how your student can meet graduation requirements by taking these courses while still in high school. Our goal is to help all students take advantage of this important new program, as part of the expanding opportunities Rhode Island students will have to graduate high school prepared for college and career success. * Registration may close at an earlier time if program meets budget capacity. A Network Member is any Rhode Island Local Educational Authority (LEA) or school that voluntarily chooses to extend the Advanced Coursework Network opportunities to students in their district and/or school. As Network Members, schools and districts enable students and their families to choose to enroll in formerly unavailable high value academic- and career-focused courses while they remain enrolled at their public school. A Network Provider can be an LEA or school, RI community-based organization, approved Department of Labor and Training (DLT) program, or higher education institution that delivers advanced coursework opportunities to Rhode Island students. The Rhode Island Department of Education supports the costs of Network coursework through state discretionary funds for students not enrolled as full time students at the Network Provider location. There is no cost to the district, school or family to be a Network Member or to take a Network course. The cost of books and course materials are covered by state funding via per student tuition payments to Network Providers. No funding will be re-purposed from the funding formula to support the Network. While options are available in blended or virtual formats, some courses are offered face to face in a classroom setting. Students and their families are responsible for transportation the student to the course at the Network Provider’s location. The school or district may choose to support transportation of their students. Ensuring equitable access to and equitable participation in the Network, by addressing the needs of students, teachers, and other program beneficiaries in order to overcome barriers to equitable participation. Interested in becoming a Network Member school or district? As Network Provider, RI schools, districts, higher education institutions and community based organizations open doors and create new opportunities for Rhode Island secondary students by offering previously unavailable coursework to students across the state. The Advanced Course Network will be accepting proposals for the Summer and Fall 2019-20 academic year beginning December 19, 2018 through 4:00 PM, January 25, 2019. Below you will find the ACN Application Documents and the supporting guidance resources. Interested in becoming an ACN Course Provider? Click HERE for an overview. Applications must be received by 4:00 on January 25, 2019. Applicants must complete a Course Detail Appendix and email the Excel file to AdvancedCoursework@ride.ri.gov by January 25, 2019. 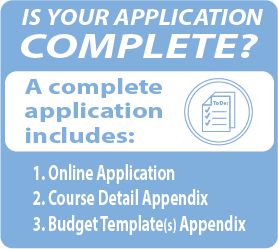 Applicants must complete a Budget Template Appendix for each cost model and email the Excel file(s) to AdvancedCoursework@ride.ri.gov by January 25, 2019. If 2 courses have the same cost, they can be on the same template. The Advanced Coursework Network is part of PrepareRI, a statewide initiative to build career pathways for all Rhode Island youth. Learn more about PrepareRI at www.prepare-ri.org.